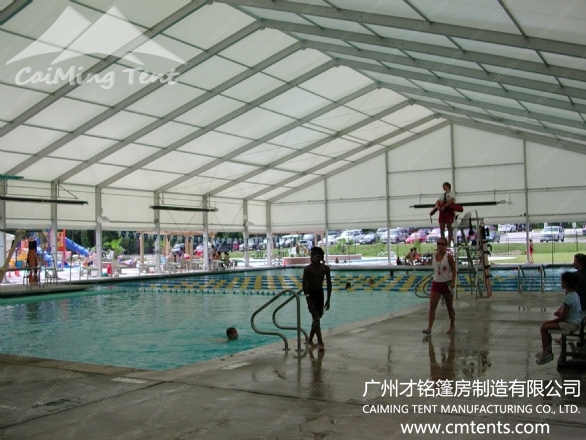 CaiMing Swimming pool tents can cover your existing swimming pools in any size and any shape, and makes your aquatic centers seasonal opening, translucent daylight fabric roof sheets and removed side walls enhance the swimming experience and save the energy, taking advantage of the temperate breezes during spring and summer time. 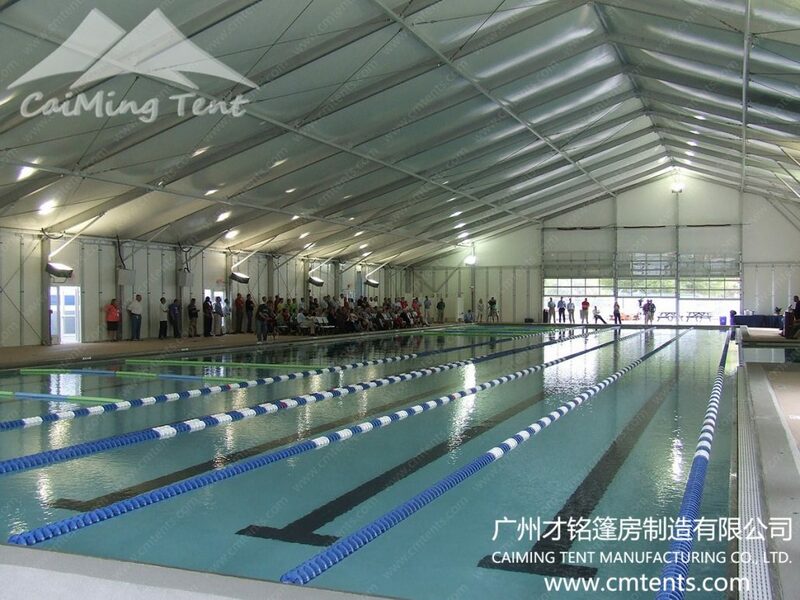 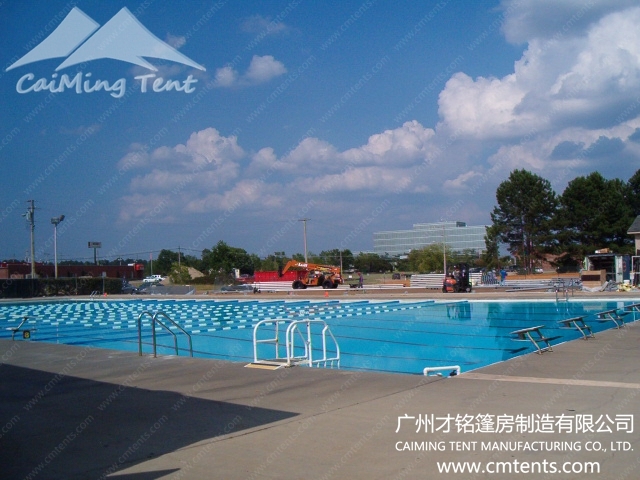 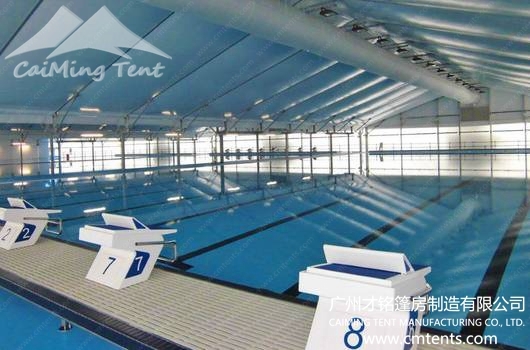 CaiMing swimming pool tents make your outdoor pool year-round, with an ideal that was quality built, cost-effective and able to be implemented and completed quickly. 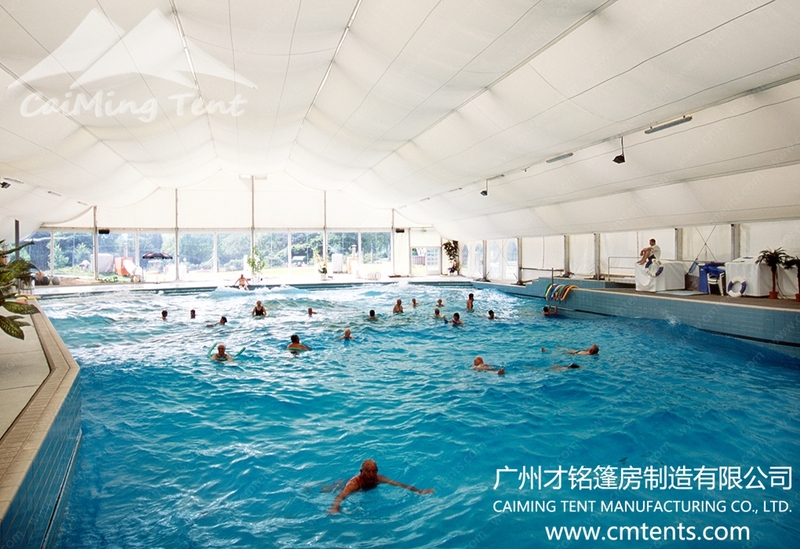 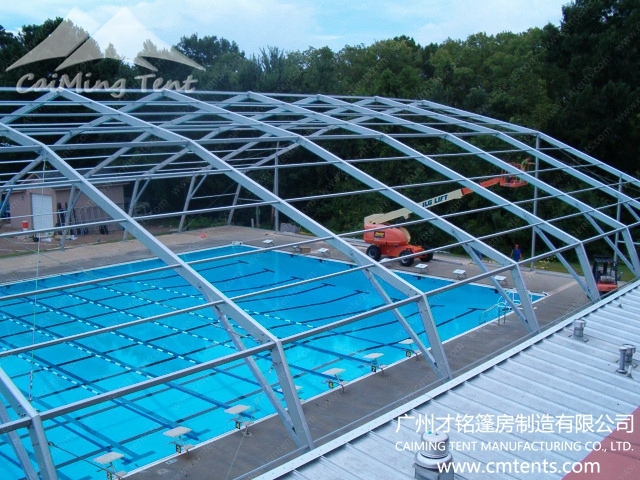 The CaiMing swimming pool shelters can be equipped with HVAC system to accommodate the chill of winter. 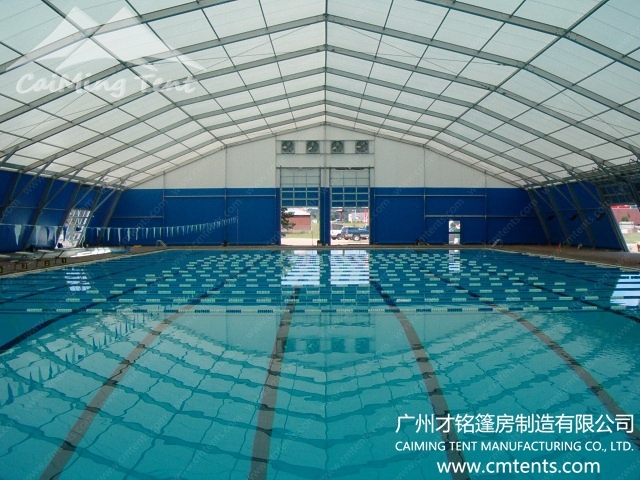 And passive PVC fabric ventilations system or electric ventilators can be erected to the swimming halls to ensure good air transfer.